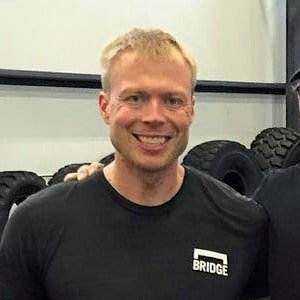 This article is guest blogged by Joel Smith, an Assistant Strength Coach of Olympic Sports at the University of California, Berkeley. Visit his website at www.just-fly-sports.com. 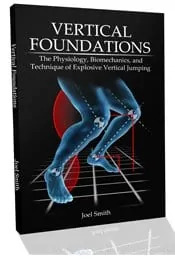 Joel is also the author of the book Vertical Foundations. Click here to learn more about the book. He also wrote the controversial article 3 Reasons the Squat is NOT the Cornerstone of Strength Training for Sprinters (a recommended read) and 3 Great Warm-up Exercises for Strength Training on this Blog. To view all the articles written by Joel Smith on this Blog, click here. The career of a coach doesn’t always go as planned, but it is oftentimes better this way. 5 years ago, I was a NCAA division III track coach, hoping as most young assistants do, for bigger and better things, such as a Division I track gig. Life has a way of teaching you lessons, often by placing you somewhere you thought you wouldn’t be. For me, this was a transition from track coach to strength coach, and from college track athletes to 10-14 year olds. Sometimes, the unexpected brings the best rewards. I’m every bit as excited when a young athlete sets a lifetime best as my former athletes, and I also get to see the foundational phases where athletes motor patterns begin to get hardwired in. At the same time, working in strength and conditioning with aquatic athletes has led me on a long journey to discover ideas on motor learning, the nervous system, and transfer of training qualities and coordination. Without taking a step back away from college track, I could have never taken a step forward in learning so much in terms of motor acquisition, athlete psychology, and development across many years of training. With these lessons added to those from my college-track-coach days, I have a list of 5 things I’ve learned about training the jumps from a variety of coaching perspectives. Something I’ve been dissecting and deconstructing for over a decade now has been how myself, and my athletes are so highly stimulated by playing team sports, in terms of their athleticism, much more so in many cases than traditional plyometric and weightlifting workouts. READ Long Jumper Andrew Howe: similar to Kobe Bryant? When there is a flurry of multi-sport high school high jumpers who get to college and do worse than high school, there is certainly something wrong with the “linear” and mono-chromatic training approach of “sprint in a straight line”, “practice maximal jumps” and “do standard plyometrics”. The body is not a machine, and works in three planes of motion. Diagonal work, and specifically rotation is very stimulating to the cerebellum. Athletes weak in the frontal plane will have technical issues in the ever-so-popular saggital plane. To be an athlete, you need to spin and rotate in different directions. For jumpers, this means doing different types of jumps. Approach your event in subtly different, and in the offseason, potentially drastically different ways. Clearly team sports does this all on it’s own, but those coaches continually worrying about injury (rightly so in many situations), the easiest way of doing things is to use creativity in having athletes hit jumps from different angles and visual cues. For inspiration, check out some dunk contests on your viewing platform of choice. You don’t have to compete in them, but every jumper should at least have some experience training the hurdles. Hurdle training delivers mobility, coordination and aggressive rhythm of the body. As we are beginning to learn, the qualities of human performance are much more inter-related than what we previously thought. Athletes need to be coordinated to be fast. They need to be coordinated to jump really high. If an athlete isn’t sufficiently coordinated, the nervous system may downregulate power due to a perceived threat level to the body. I’ve seen many athletes, as in my own training in the glory days where hurdle work proved to be the best warmup they could possibly do. I’ve seen athletes add a foot to their long jump after being “warmed up” by a 110m high hurdle run. The hurdles, and hurdle drills are heavy on multi-directional reflex loops in the body. Making an exercise reflex heavy not only improves explosive coordination, but also facilitates in recovery and reducing neural lag from prior workouts. Remember, “warming up” is all about finding those training means that are the most stimulating to the nervous system, and for many athletes, it is the hurdles. Yes, you may be a jumper, but to be your best, you must be the fastest you can possibly be. High jump, long jump or pole vault, adding 10lbs to your clean, or even 2” to your standing vertical jump at the expense of runway speed will take away from your result. Use speed training methods, which are highly stimulating to a jumpers nervous system, to power global explosiveness in a jumper. Being globally explosive will spill over into your lifts, but you don’t need to be a weight room fiend to get strong enough to jump well. The only exception to this may be high jump at the novice to intermediate level, where a slow power jumper can waddle their way over 5’6”, but when it comes down to it, you have to be fast to jump high (jumping far is just a given). The best athletes often come from the best envioronments, call them “training dens” if you will. I have the opportunity right now to be part of a “training den” of swimmers, and the culture is truly powerful and inspiring. A team environment where athletes are constantly challenging, yet supporting their peers is one that both stimulates more power from the CNS, and drives recovery in the process due to motivational factors. Parts of creating a great culture include leadership staples such as servant-leadership, respect, building stories and narratives (ex. follow the spearhead), putting power in the hands of athletes, humility, and more. In reality, this is probably how it should all play out, but for some reason, it doesn’t always happen this way. Many times, when a coach in the top 3 categories, who doesn’t have a jump background picks up the jump events, the last thing on their mind is maintaining the spring of the jumpers by giving them enough rest. Remember, rate of force development is the first thing to go when an athlete starts to get overtraining, and in the jumps, this slope is much slipperier than most think. As legendary Brazilian jumps coach Nelio Moura has pointed out, jumpers who jump great at the end of the year are good all season. This train of momentum, which is kept up by regularly resting and unloading is a key to the success of any jumper. On top of this, remember that the forces in the jumps are higher than any other event. If you think that you can sustain peak forces of 5-10x bodyweight for weeks and weeks on end without your athlete’s nervous systems purposefully down-regulating power to protect themselves, then you will often find your jumpers in a sad place come championship time.